Valentine’s Day? Oh, it’s on 14th February! Nobody really forgets. Friendship day? Obviously it’s celebrated on the first Sunday of every August. Who does not know that? Well, everyone does! 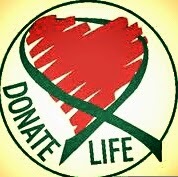 And when is the World Organ Donation Day observed? No answer? Many of us are not even aware that something of this kind is celebrated. It’s observed on the sixth day of every August. Merely remembering the day won’t do any good. The purpose of this noteworthy day being celebrated should also be served. As the name suggests, this is day is observed to spread awareness and encourage people to donate their organs, after death, to people who are in need of the same. Nearly half a decade ago, patients used to buy blood because of shortage of voluntary donors. Today the scenario has changed; all the blood used is received as replacement blood from relatives and as altruistic donations. So if the attitude can change to this extent for blood donation, that day is not very far when deceased organ donation for transplant also can save millions of lives. In fact more than half a million Indians are estimated to be in need of a organ transplant of kidney, liver, heart, pancreas, etc. but even after being the second most populous country, India has a very low deceased donation rate. Poor awareness is one of the biggest hurdles. Most of the people had the notion that only kidneys and eyes can be transplanted. Few knew that organs could be received from donors after death. Even among doctors, awareness is very poor. Many of them are not formally trained in counselling and not fully equipped to talk to patients about organ donation. Therefore, it becomes difficult for transplantation to take place. The donation is considered only after the person has been declared brain dead; when the brain is damaged irreversibly, mainly resulting from serious road accidents. Often doctors are not interested in declaring the brain dead and instead they keep them on ventilators. Many families believe that a person is alive if the heart is beating and reluctant to agree for the organ donation. Even if they agree to donate it is mainly for the family members and not for any stranger. How, by just being a stranger, one becomes inelligible for getting a donation! It’s time that the mindset of the people should encounter a change. The problem does not end here. There are taboos in the Indian society that mark the resistance. Religious beliefs are considered one of the biggest hurdles preventing people from donating organs. But the truth is, most religions are open and straight forward on the issue. 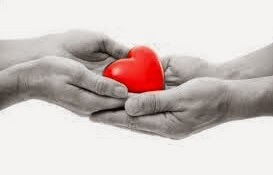 Organ donation is the act of value worthy of reward. Some religions even say an artificial transplant is no substitute for a natural organ transplant. A lot of people have willingness to donate their organs after death. But they are unable to convert their desire into action as there is virtually no mechanism to simply ask a potential donor to pledge his organs. So, let’s take a pledge to join hands to give hope to thousands waiting for a fresh lease of life. We all are born with the ability to change someone’s life. Let’s put that into use. There is a saying, “the measure of life is not its duration, but its donation.” Let’s pledge to give others the precious gift of life. Be a hero. 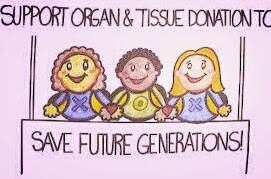 Be an organ donor. Beautiful!!! People are least aware of this stuffs!!! Again this article should be promoted!!! !